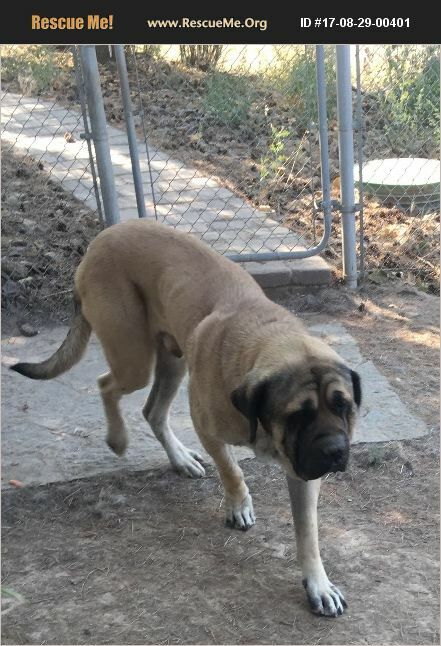 Washington Mastiff Rescue View other Mastiffs for adoption. Tony is a purebred mastiff. He is very gentle with people. He loves to spend time with people. He has spent his whole life with his 'sister' who is also a pure bred mastiff. Unfortunately Tony is not good with other animals. I have never had him around other dogs but with chickens, cats, sheep, calves, ect. he is a problem. He should under no circumstances be around other animals! He was stung several times in the face when he was just a puppy. Because of the stings he does have scarring on his face. Due to him not being able to be around other animals he has not had a whole lot of socialization his manners are a little rusty.